Welcome back! It has been a while since my last blog post. 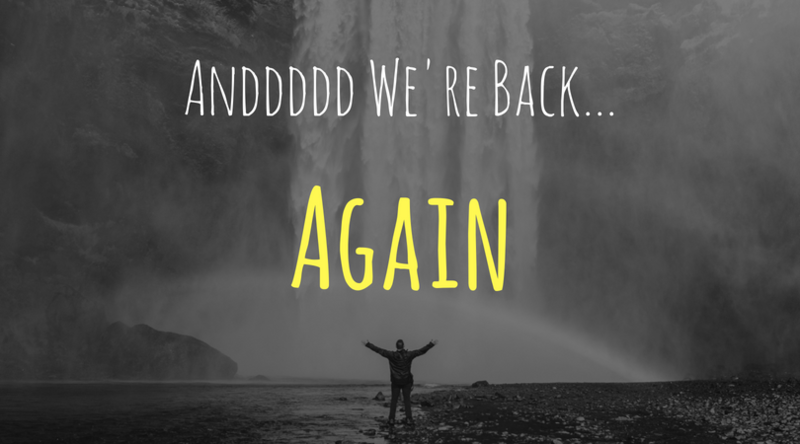 Things got a little crazy during tax season and we have taken the last month to get back in the groove. However, spring is here and its time to get the blog going again. I love writing, interacting with you all and trying to give as much value as I can in everything I write. Alex and I had a great meeting after tax season talking about why our clients love to work with us and why others make the decision not to. If I am being honest, the reasons were a little bit different then I originally expected. I had ideas in my head why people would want to work with us, but there seemed to be recurring themes among our clients that was something entirely different. One thing that I have always preached is listening and adapting to the market. If the market is going one direction, you need to take note. It was a really cool conversation. Out of it we came up with some frequently asked questions and a list of reasons clients typically choose not to work with us. I think it would be really helpful to share that with you all as you continue to look for ways to grow your business and become more successful. Over the next 4 weeks I am going to write about those 4 reasons. While it may seem a bit “salesy” at times, I assure you that my intentions are good. I simply want to get you thinking a different way about things. It will make more sense once we dive into week 1. I hope you all are enjoying this warm weather as much as me. I am excited for the blog relaunch and look forward to having some awesome discussions. Make it a great day!